On 22 July 2009 there was the longest solar eclipse of the century, mostly viewable in Asia. Guess who gave out glasses in Beijing to help view the eclipse? 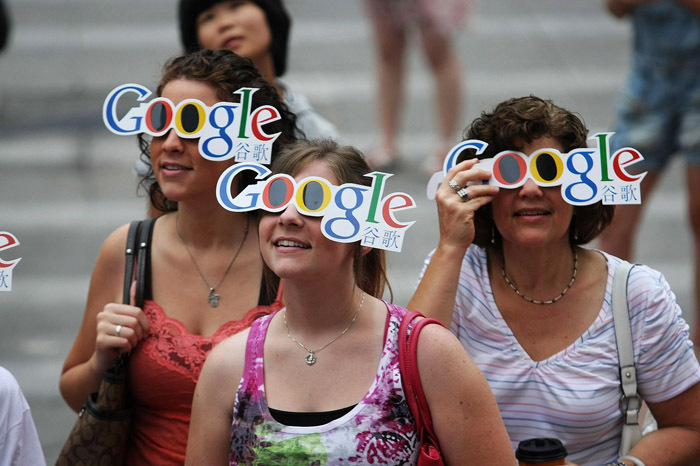 I want some of those Google Goggles! One Book Can Improve Your Writing For a Lifetime » « Wingnuts unite and carry birth records in a Ziploc bag!